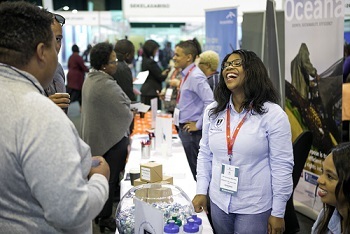 SA’s leading procurement and supply chain summit is the definitive event for procurement professionals to attend as it affords delegates the opportunity to gain fresh insight into various procurement and supply management topics. It’s time that business alleviates the bottlenecks to growth and progress without opening organisations to governance nightmares and security concerns. It’s time to empower businesses to adapt and modify processes without running into roadblocks. Can you see how exactly procurement and supply chain can achieve this? Keynote presentations from industry leaders. 3 days of networking with key stakeholders, learning and growing and countless opportunities to elevate your business to the next level. Also join us for SA’s largest linkage programme where Buyers and Sellers meet on the 10 April 2019, which is open to the public at large.